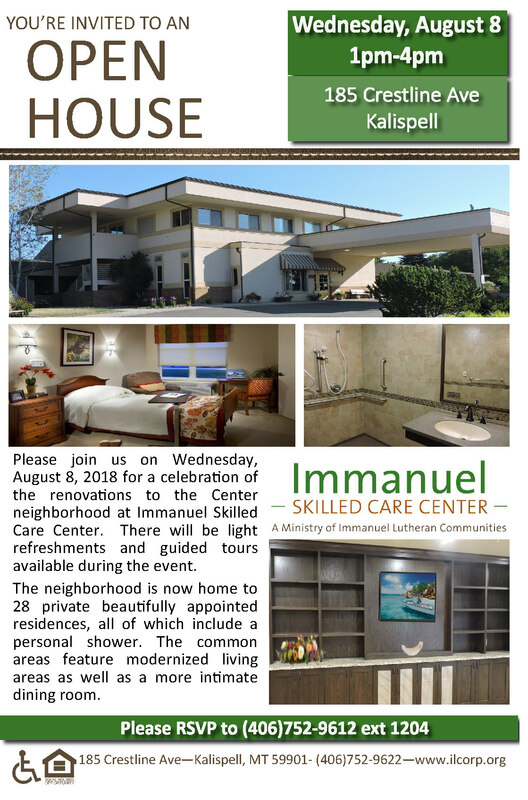 Please join us on Wednesday, August 8, 2018 for a celebration of the renovations to the Center neighborhood at Immanuel Skilled Care Center. There will be light refreshments and guided tours available during the event. The neighborhood is now home to 28 private beautifully appointed residences, all of which include a personal shower. The common areas feature modernized living areas as well as a more intimate dining room.